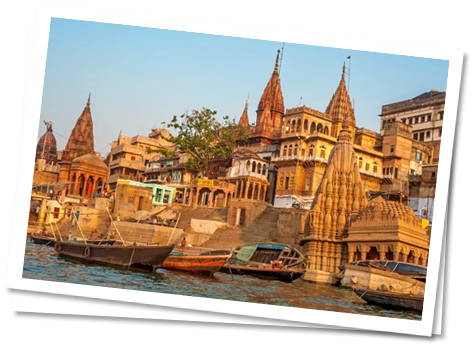 The oldest city of the world, Varanasi, is also known as Benares and Kashi is one of the holiest cities of India. Considered to be the city of Moksha, this 3000 year old city is adobe of Lord Shiva and Parviti and so it is believed that the sins of a person he did in his lifetime will be washed away. And the person would get liberation from the cycle of birth and re-birth. He would receive an ultimate Moksha. The utmost holiest river Ganga seemed to have its origin here from the tresses of Lord Shiva in Varanasi. Sarnath is the location in Kashi that is known for the place where Buddha preached his first sermon post his Enlightment. Being the symbol of Hindu renaissance, knowledge, philosophy, culture, devotion of Gods, Indian art and crafts, Varanasi’ culture has been flourished with past many centuries. Believed to be the birth place of Parsvanath, the twenty-third Tirthankar, and Kashi is also a famous pilgrimage center for Jains. Also known as the City of Temples, the mesmerizing architectures of the temples of Varanasi are very much fascinating for the travelers and the art lovers. Being a great center of learning and education, Varanasi has always been associated with the encouragement of the spiritualism, mysticism, Sanskrit, yoga and Hindi Language. The famous and well known authors and poets such as the ever famous novelist, Prem Chand and Tulsi Das who wrote the Ram Charit Manas are very well promoted here. Being the Culture Capital of India, the history of Varanasi is never ending. 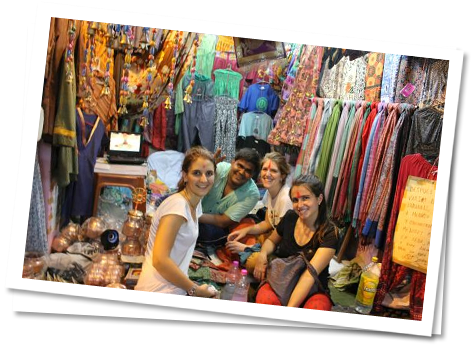 Apart from just being the holy city, Varanasi is also a famous trade and commercial hub. The finest silk, gold and silver brocades can be found every easily. 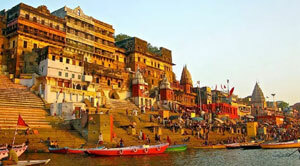 Varanasi is a city that attracts travelers and visitors from not only the nation but all over the world. The tourism of Varanasi is the biggest aspect that reflects the faith and believes of people in this holy city. Apart from the devotees of Shiva and Vishnu, this place is explored by the believers of Buddha and also Jains. The history and art lover get their most nutritional food for their history and art fascinated soul. Being the spiritual capital of the country, Varanasi attracts millions of pilgrims from every single corner of the world. The whole sole witness of the ancient civilizations that came and went over centuries and centuries, Varanasi till today stands tall and alive, unabashedly colorful, vibrant and wonderfully rich in history and legends. The Varanasi Ghats are the most fascinating aspect of tourism in Varanasi that again captivates the visitors. 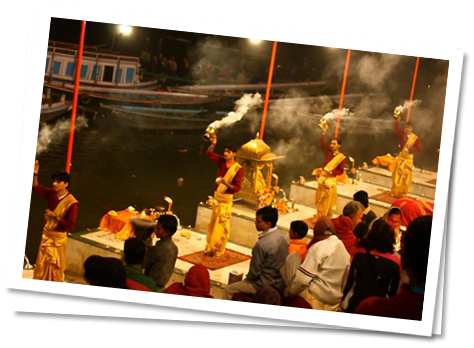 The boat ride across the scared river Ganga marvelously captures the spirit of Varanasi. With plenty of rituals being carried out on the Ghats of river Ganga, the single boat ride is the best aspect to explore Varanasi and its religious Culture. 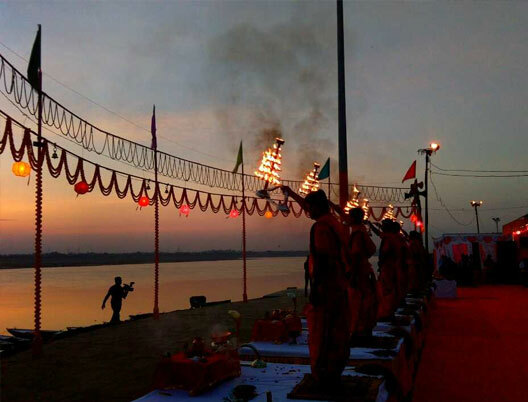 The evening ritual of worship, the Ganga Aarti on the Ghats of river Ganga is the biggest fascination of Kashi. People from far away visit Varanasi just for the sake of attending the main evening Ganga Aarti. Being the original hub of art, culture spirituality and music, Varanasi has been the land to many prominent saints, philosophers, poets, writers and musicians. Known for its fine quality silk, ‘Paan’ and Benares Hindu University which was founded by the great nationalist leader, Pandit Madan Mohan Malviya in 1916 in the association with Dr. Annie Besant, who viewed it as the University of India. Being home to the Kashi Vishwanath Temple which one of the twelve Jyotir Lingas of Lord Shiva holds a grand spiritual historic significance of the past. Mahabodhi Temple that marks the legendary Bodhi Tree under which Buddha preached his first sermon post his Enlightment is of great significance as it was the origin point of Buddhism. 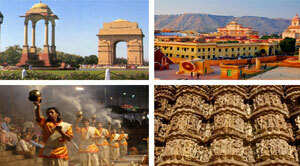 With plenty of points of interest in Varanasi, this holy city is must explore destination of India. Varanasi, as it a much known tourist location, it houses the well maintained domestic airport and the wide network of railways and road makes the reach to Varanasi with no difficulties. The only thought of paying your visit to Varanasi makes you go really excited; Varanasi is equipped with an airport named as the Lal Bahadur Shastri Airport. It’s an eminent public airport situated at Babatpur, nearly 26 Kilometers to the northwest of Varanasi [the second busiest airport in the state of Uttar Pradesh]. It’s adorned with an integrated terminal, which serves both domestic and international flights. This airport connects its visitors with various touristic destinations of India – Delhi, Kolkata, Mumbai, Khajuraho etc. Some of the frequent services providing airlines are – Air India, Buddha Air, Jet Airways, SpiceJet, Vistara etc. The city of Varanasi is older than the history of India; it’s well-equipped with a wide network of road that efficiently connects it to most of the prime attractions of Uttar Pradesh [some well-accessible destinations are Lucknow, Allahabad, Patna etc]. There are several frequent buses that link this city with numerous spots [Road trip are best if you have an ample amount of time in your hands]. The suggested time period to uncover Varanasi is September to May. While its recommended not to travel in Varanasi in the monsoon season because of the heavy flow of water in river Ganga. The summer months are dry, sweat-soaked as sunny; hot-winds blow throughout the daytime, the night temperature is also not too comforting. One should avoid a trip to Varanasi, especially in the months of May and June. Visiting some of the river-side attractions would definitely become a task. The summer months begin from April and follows until the last days of June; the temperature varies from 28 degree Celsius to 45 degree Celsius. 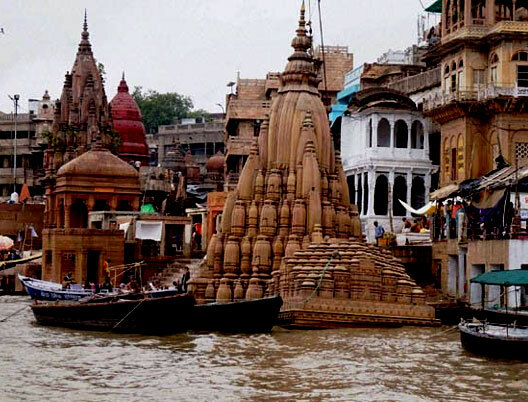 The religious city of Varanasi receives an average amount of rainfall; if you love to travel in the rain then you can pay a visit this place of temples, traditions, values, history, literature etc in the monsoon months. The monsoons start from the month of July and travels to the end days of September; the temperature varies from 24 degree Celsius to 32 degree Celsius. The duration when the boat rides becomes even exciting because of the presence of the migratory birds [the Siberians]; winter months are best for exploration in Varanasi. This interval also observes the arrival of numerous festive occasions [most-suitable for understanding the culture in deep]. The cold waves from the Himalayan region become the reason behind the fall in the temperature. The winter months commence from October and follows until the end days of March; the temperature varies from 5 degree Celsius to 27 degree Celsius. A city known for its magical evenings, the rituals soaked evening Ganges Aarti, the several houses of worship, the bustling markets, the delicious local street food etc gives you all the reason to stay quite for sometime in this enchanting city of Uttar Pradesh. 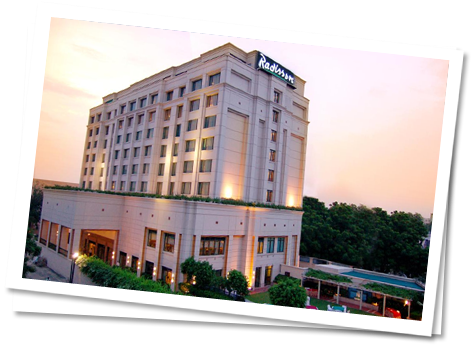 Varanasi is equipped with every kind of places of stay; economy hotels, 3 to 5 stars rated hotel, luxury hotels, Heritage hotels, ashrams, Homestays etc. 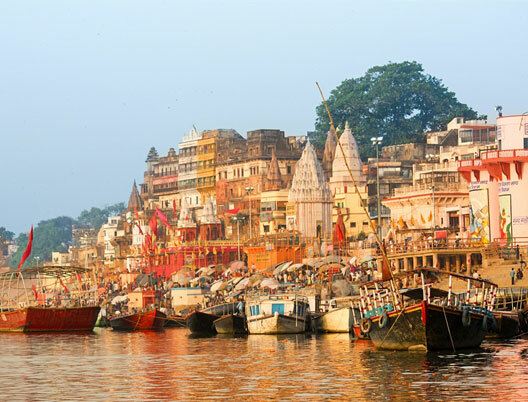 You can choose on any place of your choice and comfort; do make sure to enjoy a boat ride in the holy river Ganges. The Ganges city is always ready with its arms open wide to welcome each and every person, who makes a move towards it. One can spend as many days as he or she wishes to; Varanasi is instilled with the air of belonging, extremely inviting and soulful. Two days are sufficient to spend in the holy city of Varanasi; here are the names of some major attractions – Dashashwamedh Ghat| Kashi Vishwanath Temple| Manikarnika Ghat| Dhamek Stupa| Sarnath Museum| Sankat Mochan Hanuman Temple etc. Varanasi is a must-visit city, in case if you are planning on a trip to the northern zone of India, then do prefer on making Varanasi a part of your trip. The official languages of Varanasi are Hindi, Urdu and English; the Native dialects are Bhojpuri and Awadhi [dialects of the Hindi-Urdu]. 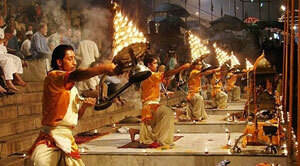 The city of Varanasi witnesses the presence of people belonging to the various parts of the world throughout the year. Shopping is always fun but shopping in a whole new destination is even exciting and experimental in behaviour too. It’s good to go prepared when it comes to buying a few things from the destinations chosen by you for exploring. Even when you have a list of where to go and what to buy, if possible try and communicate with the locals [ask them what’s best to buy from the city]. Some of the prime cities of India do leave a longing impact and impression on one’s presence; Varanasi is one of them and for the same reason fulfilling the desire of buying souvenirs is a must. Here are the names of must-visit shopping destinations – Vishwanath Gali| Godowlia Market| Aroma Garden| Banaras Art Gallery| Sharma Toys Emporium| Harmony Book Shop| The bed Silk and Pashmina| Thatheri Bazaar etc. The Ganges city is home to depth soaked literature| art| music| festivals and many more; these are some of the major attention-seeking elements, which drive a huge amount of footfall in Varanasi. Some of the well-famed Indian writers resided in the pure city of Varanasi – Kabir, Ravidas and Tulsidas etc. This gracious city is a chief centre of arts and exemplary designs; it’s a highly efficient producer of silks and brocades with silver and gold thread work| wooden toys| Glass made Bangles| Ivory work| artistic brass| perfumes| copper ware| varieties of Handicrafts etc. Music has always been a part of Varanasi; the music tradition of this place is traced to the Pauranic days. This city is associated with several incredible musicians and instrumentalists; it also observes various festivals of great importance on a wider scale – Dussehra, Diwali, Maha Shivratri, Dev Deepavali etc. Dedicated to Lord Shiva, this glorified temple is one the twelve Jyotirlingas and is also referred to in the Holy Scriptures. Located in the heart of Varanasi, it is the biggest fascination of visitors and the core of faiths for millions of Hindus. Situated in the banks of river Ganga, it captivates up to 3,000 devotees everyday with more than one lakh on occasions. Made up of white marble in 1964, it is located nearby the famous Durga Temple. Dedicated to Lord Rama, this beautiful temple is famous as the Hindi version of Ramayana; Ram Charit Manas was written here. With the alluring gardens, the walls of this modern, marble, Shikara-style temple are engraved with verses and scenes from the Ram Charit Manas, the Hindi Version of Ramayana. Constructed by a Bengali Maharani in 18th century, this famous temple is dedicated to Goddess Durga. The belief that attracts its devotees is that the Goddess appeared herself in the form of a statue and she is still there in the inner sanctum. Built in North Indian Style of Architecture, it is stained in red and ochre with multi-tired spires. Known for its fine architecture and stone work, the temple houses a pond known as the Durga Kund. The hereditary home to the Maharaja of Banaras, Maharaja Balwant Singh, was constructed in the style of fort-palace in 18th century. This red sandstone built fort stands opposite to the bank of river Ganga and houses a temple and a museum within the fort. With a royal collection of vintage cars, Royal palkies, an armory of swords and old guns, ivory work and antiquities stands the museum which has an great captivation for its travelers. The fort also houses a giant clock that displays the year, month, week, day and also the facts about the sun, moon and constellation of stars. With plenty to be explored stands this mesmerizing fort of Ramnagar. With a perfect blend of Hindu and Mughal Style of Architecture, this beautiful architectural marvel, Alamgir Mosque was established by Aurangzeb and is also known as the Beni Madhav ka Darera. The only mosque that oversees the Panchganga Ghat. Sarnath is a location very much famous amongst Buddhist Pilgrims in India. It is believed that post Buddha received his Enlightment at Bodhgaya; he went to Sarnath and preached his first sermon here. The Dhamekh Stupa and Monastery Ruins, the Archeological museum, the Chaukhandi Stupa, the Ashoka Pillar, the Mulagandha Kuti Vihar and the Chinese Thai Temple and Monastery. The prime attraction of Varanasi, Benares Hindu University is considered to one of the largest universities of the World. Founded by Pandit Mohan Malviya in 1916 is one the few institutions of the country which can sense the wind of change in its culture. For the history lovers it is a must visit place. Yet one must visit it to explore the age-old traditions of learning and spirituality. Situated around the extreme southern end, this Ghat does not retain much of crowd but is very much crucial as here river Ganga meets river Assi. With a bit of historic significance, this Ghat was built by Maharaja Chet Singh, who was the former ruler of Varanasi in 8th Century. Built in the early 1900’s by the royal family of Bihar is the most alluring ghat of Varanasi. Initially it was a palace and later converted into a ghat, this ghat is the favorite one of the photogenic people because of it visual appeal and architecture. 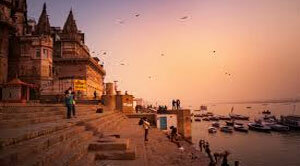 The heart of action and the most loved attraction of Varanasi is the Dasaswmedh Ghat. This is the ghat where the most crucial Ganga Aarti is carried off every evening. With major devotees all around this ghat, it is the most crowded, oldest and holiest ghat of the city. With its notable Rajput architecture, this is another oldest ghat of Varanasi. Built by Rajput maharaja Man Singh of Jaipur in 1600, the later addition was the observatory that was constructed by Sawai Jai Singh II in 1730. With the partially submerged Shiva Temple at the water’s edge, stands the most picturesque Ghat of Varanasi. Built in 1780 by Maratha King Bonsale of Nagpur, Bonsale Ghat is a substantial stone architectural marvel with small artistic windows at the top and three heritage temples namely Yameshwar Temple, Laxminarayan Temple and Yamaditya Temple. The most auspicious cremated place, Manikaran Ghat is one of the famous attractions of Varanasi. Popularly known as the Burning Ghat, this is the place where most of the dead bodies are cremated. With some major attractions, one can go for Varanasi Sightseeing Tour, Varanasi Shopping Tour and can buy some fine silk products.